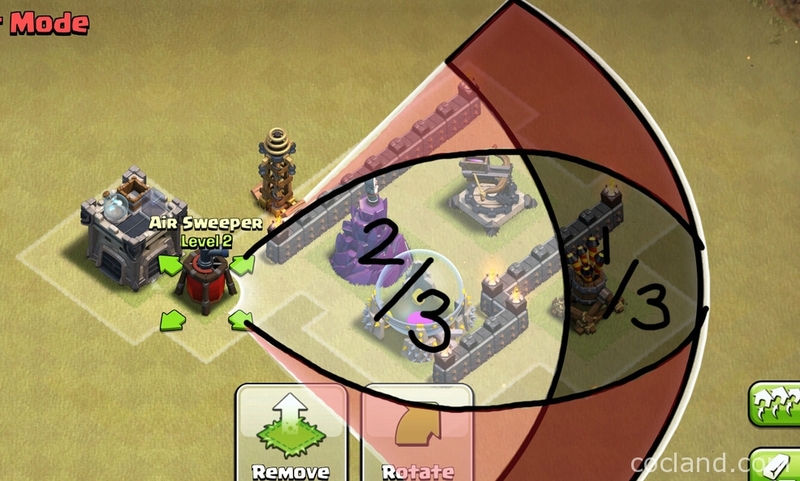 After the new Clash of Clans update, we all need to get acquainted with the Air Sweeper but It is not that easy… But don’t worry, this detailed Air Sweeper guide from akiyume will help you know and find the best ways to use it! 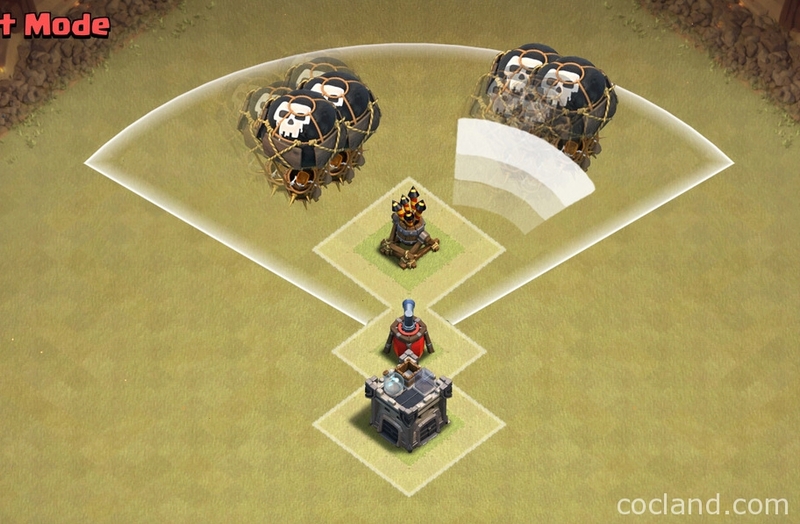 The purpose of the Air Sweeper in Clash of Clans is not really to protect but it is perfect at deterring and stalling the time of the attacker. The Air Sweeper doesn’t need to protect the remaining 2/3 because you can make it be better (2 Wizard Towers for example). The best defensive strategy with it is that it needs to feint protection on the 1/3 side but truly it is watching the remaining 2/3, the attacker will attack the 2/3 side and activate the trap. 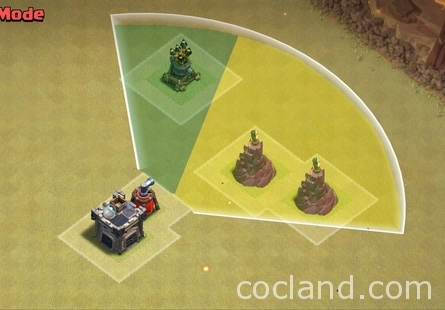 In the example screenshot below, If the Air Defense didn’t exist, all those territories would be equal. In fact, the Air Sweeper covers a certain territory. As the attacker, you can see that the owner of this village want you to stay away from a certain place by observing where the Air Sweeper is pointing at, you know how it will ruin your raid. The Air Sweeper is made to protect and cover other buildings, and give them more time to protect themselves. For example, in the screenshot below, the AS can protect the Queen from Lava pups. How to use the Air Sweeper Effectively? Because the air wave has 5 tiles wide so the AS just can control 1/3 of its radius. 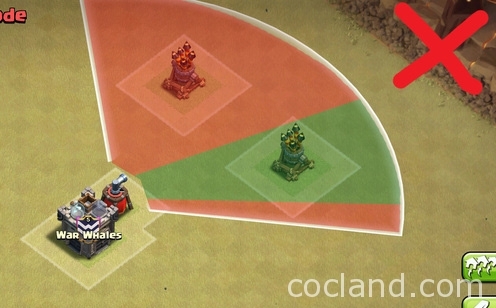 Because it can only lock on one target so the remaining 2/3 can’t be protected simultaneously and there are still a lot of players doesn’t know about it and still think that the Air Sweeper can protect 1/4 the base. 1/3 protected area.2/3 unprotected are.The back side. Protecting 2 Air Defenses at a time with the AS is worse than protecting just only one. 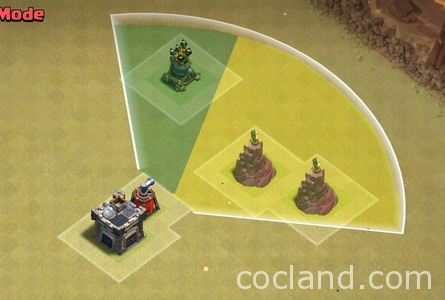 Two ADs can also cover a half of your base. In terms 1/3 protected area, the Air Sweeper can stall the enemy rather than deter them. While the AS is locking on the Lava Hound and push it away, Balloons can still carry on as normal. 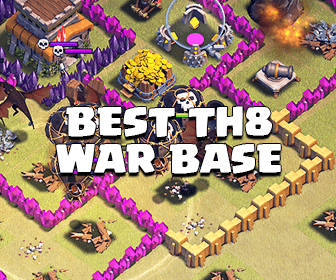 This is the most effective way to use the AS in Clash of Clans. 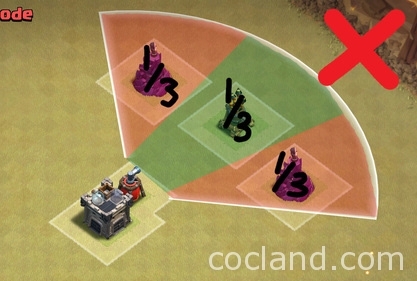 Just give the enemy this section but still control the 2/3 and the back side. 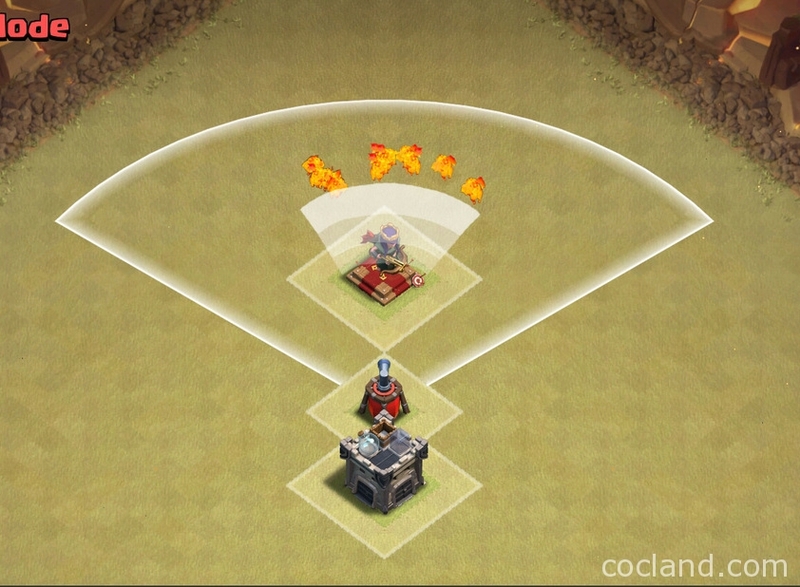 By doing this, you can enforce the strict separation between Lava Hounds and redirect the Balloons to the 2/3 area. Pace an anti-loon system on the 2/3 side and they will be done! 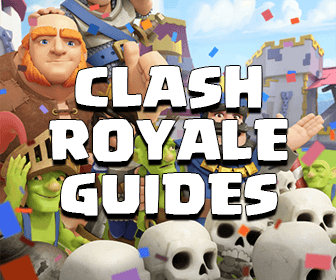 If you have any suggestions for this guide, please comment and help us improve it :D.